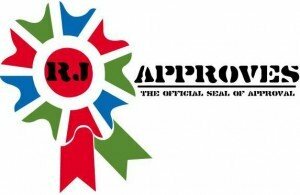 VSAN NETWORK CHATTER | RJ Approves This Message! What goes on on the VSAN Network? Let’s take a brief look at that so we can understand the different types of chatter that goes on this network. First things first, there is the communication that takes place between all the hosts participating in a vSAN cluster. A heartbeat is sent from the master node to all the other nodes participating in a vSAN cluster. Since vSAN 6.6, this communication is done via unicast traffic. When a host is part of the vSAN cluster, it can get one of the three roles – master, agent, and backup. As an admin, you have no control over who you can pick as a master vs a backup and this is completely handled by vSAN. This is the second type of communication that happens between the hypervisors participating in a vSAN cluster. The master node is responsible for getting the clustering, monitoring, membership and directory services updates to all nodes (CMMDS). This traffic is unicast since vSAN 6. The volume of traffic between the master, agent, and backup is light and in steady state, so high bandwidth is not of a concern. The majority of traffic on a vSAN network comes from the virtual machine disk I/O. VMs on the vSAN datastore is made up of a set of objects which are made up of one or more components. When a VM has multiple copies, it will have its replicas traverse the vSAN network on to other nodes. This is unicast traffic and forms the majority of the vSAN network traffic. Best practice for the vSAN network is to have a minimum of 10Gb and no routing. If the traffic needs to be routed, then only use static routes in the environment but it is not recommended. Also do not put vSAN traffic on an overlay NSX network, because of circular dependency, this configuration is NOT supported.